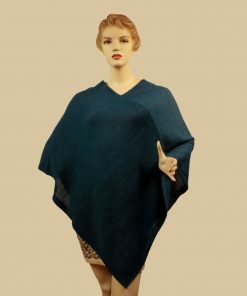 Either indoor or outdoor accessory, this cape is very easy to put on and it wraps your figure with warmth and softness. It will give a refined and elegant touch to your outfit or it will warm you up if you wear it as a plaid. It can also be used as a kimono thanks to its woolen belt.